An Autumn treat that is sure to please. 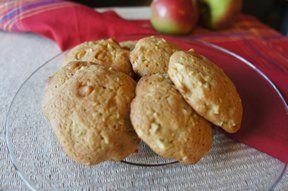 Fresh picked apples are perfect in these and the butterscotch brings on the caramel flavor. 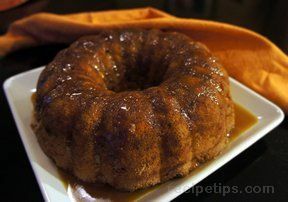 In a bowl, cream butter and brown sugar until light and fluffy. Beat in cream and egg. In a separate bowl, combine dry ingredients and add to creamed mixture. Fold in the apples, chips and nuts. Drop by teaspoonfuls onto greased or lined baking sheet. Bake at 350 degrees 12-15 minutes. NOTE: Be sure that the apple pieces are small. 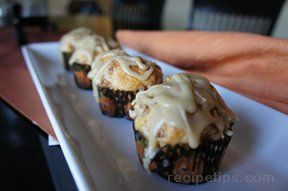 They are very good with or without the glaze! For Glaze, in a bowl, mix together all ingredients. If too thick, add more cream to get the right consistency. Drizzle over cookies. I make half of the glaze recipe and only frost half of the cookies. "Soft and caky. I didn't add the glaze and still loved them. 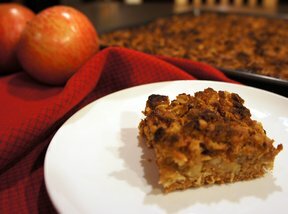 Perfect for fall with fresh apples."